The Missouri History Museum is collecting postcards for a time capsule that will be opened in 50 years, for St. Louis' 300th anniversary. Dear St. Louis 2064: 'I hope that we can have less pollution and more trees and nature,' Margaret McPheeters wrote on her postcard for a Missouri History Museum time capsule. Dear St. Louis 2064: 'I hope you stay beautiful and keep up the historical parts,' Rachel Kimes wrote on her postcard for a Missouri History Museum time capsule. 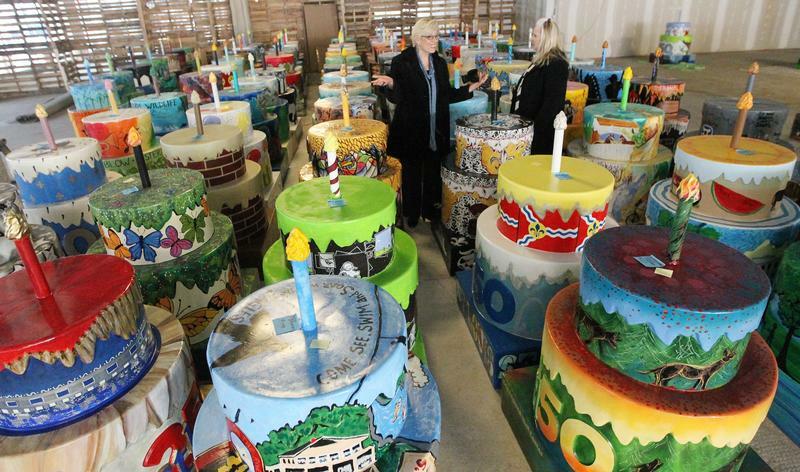 Dear St. Louis 2064: 'I love this city, it's stubborn pride that accepts visitors but will always, always fight for its history, baseball and place as the best city,' Mary Hall wrote on her postcard for a Missouri History Museum time capsule. Dear St. Louis 2064: 'We have good schools for a lot of money. Can there be good schools for less money? ' asks Zoe Schnadower on her postcard for a Missouri History Museum time capsule. Dear St. Louis 2064: 'I am proud of the people here who stood up for justice in Ferguson and wonder what racial discrimination looks like in the future,' Emma Tahon wrote on her postcard for a Missouri History Museum time capsule. 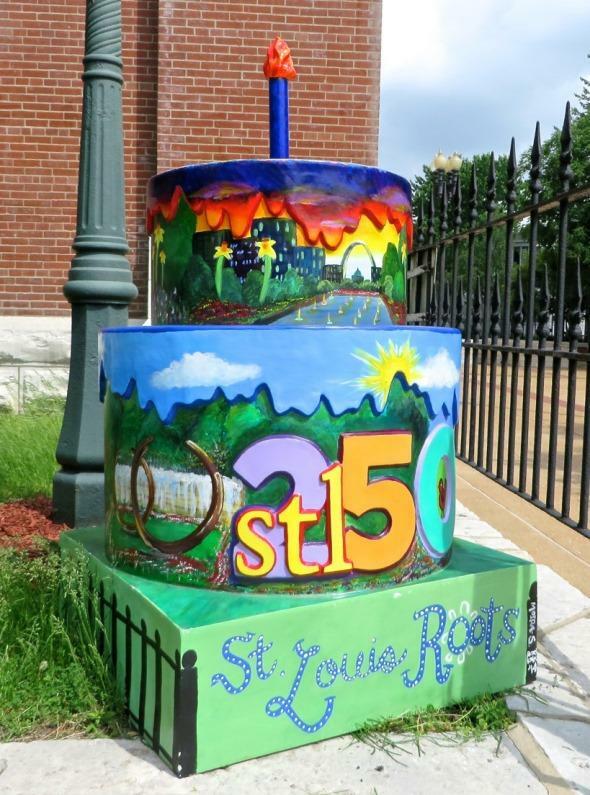 “It was just really neat to see not only people’s pictures and experiences, but to hear them talking about new places that they hadn’t been before and new appreciations that they had for both the assets and the diversity of our region,” STL250 executive director Erin Budde told “St. Louis on the Air” host Don Marsh on Wednesday. "St. Louis on the Air": Erin Budde, Alex Ihnen and Jody Sowell talk about St. Louis' 250th anniversary. The Missouri History Museum also created an exhibit to honor St. Louis’ anniversary. More than 300,000 people have attended the “250 in 250” exhibit, said Jody Sowell, the museum’s director of exhibitions and research. It’s the most-visited exhibit since the museum’s first Charles Lindbergh exhibit in 1927. The “250 in 250” exhibit closes Sunday. The exhibit doesn’t just focus on the city’s successes, Sowell said. In the years to come, the death of Michael Brown and subsequent events in Ferguson and St. Louis will be part of that story. 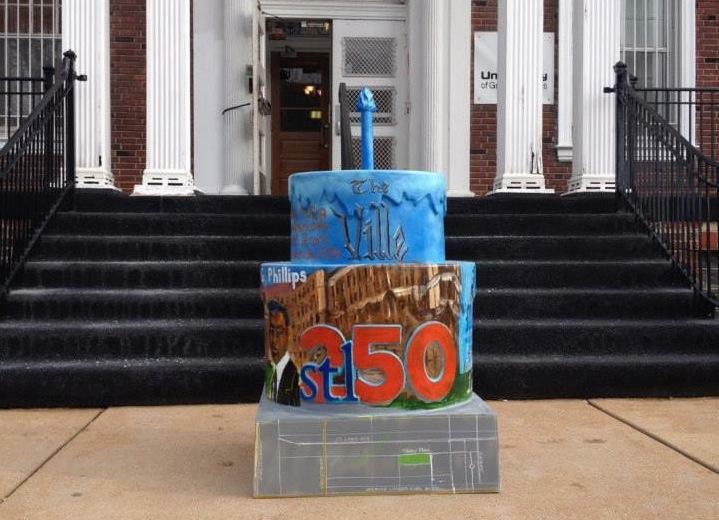 One of STL250’s goals was to draw attention to St. Louis. Ferguson did that. How, and if, Ferguson will be remembered remains to be seen. The history museum is collecting and preserving artifacts from Ferguson for research and future exhibits. In addition to looking back, the museum also is planning ahead for the city’s next big anniversary: Number 300 in 2064. A part of its “250 in 250” exhibit, visitors can write postcards to the future. About 20,000 postcards have been submitted so far, Sowell said. Looking ahead, Ihnen said the millennial generation will shape St. Louis’ future. “St. Louis is a very easy, very gracious place to live,” he said. “You can live here and not pay attention to your surroundings and just soak up a good life. We have beautiful suburbs; we have great schools, beautiful parks. In some ways, St. Louis doesn’t require that you be engaged. And people have left the city and chosen not to be engaged in city politics or city issues. We’ve separated by race, and you can choose to live around people who only look like yourself, and it’s very easy and very inexpensive to do so here. "250 in 250: A Closing Celebration"